Modern versions of the DB GT will be based on the lightweight specification version of the original car, shown. 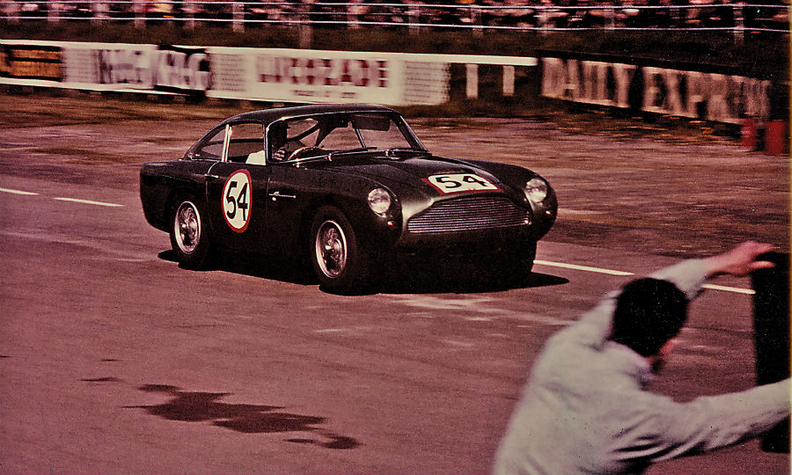 Aston Martin is bringing back the DB4 GT. This was the legendary, 3.7-liter, six-cylinder sports car the dashing racing champion Stirling Moss piloted to victory at Silverstone in 1959. Produced from 1959 to 1963, the model was widely regarded as Britain's fastest passenger car. Only 75 were made; the value of each of the surviving ones today exceeds 3 million pounds ($3.7 million). Now the British brand says it will hand-build 25 new DB4 GTs that continue the original model VIN numbers from where they stopped. The modern versions will be based on the original "lightweight" specification version of the DB4 GT, of which Aston made only eight. They will cost 1.5 million pounds each. You can order them directly from the factory and have it delivered by the end of 2017. Here's the catch: They are only legal for the track. But each owner will receive membership in a two-year international track-driving program that hosts them at courses around the world, from Abu Dhabi and Asia to Europe and North America. The program uses professional instructors and Le Mans winners to help customers master driving techniques. Aston is couching the new offering as a supercar power play, since it comes just after the debut of the DB11, which is the brand's most progressive (and, arguably, hottest) car yet. "It's a mark of Aston Martin's breadth of abilities that in the same year we launched the DB11 we can also embark on an adventure such as the DB4 GT Continuation," Aston Martin CEO Andy Palmer said in a statement Friday. This will be the first car to be made in the traditional home of Aston Martin, the Newport Pagnell, England, plant since production of the Vanquish S ended there in 2007. Currently most of the brand's cars are made at the Gaydon headquarters in Warwickshire, England. If you do take the plunge, the new DB4 GTs are a combination of the old and the new. They will look like the originals but with modern building techniques that lend better handling, braking and safety measures, and engine performance. Interior details such as the distinctive Aston Martin wood-lined steering wheel will remain the same. The new cars have a straight-six, 340bhp engine with two spark plugs per cylinder, which was the industry standard in the day to extract maximum power from the engine at optimal efficiency. They have a rear-wheel drive on a four-speed manual transmission and a limited-slip differential exactly like the one in the first DB4 GT. And they are shorter, lighter, and sleeker than the early version, with a two-seat interior and aluminum body. On a car that weighs just over 2,700 pounds, the pull off the starting line will feel like a rocket. Aston Martin won't comment on how many of the DB4 GT continuation cars are already sold other than to say they're in "very high demand."